The very name evokes images of crumbling Gothic mansions, black cats, inescapable diseases, live burials and of course, the iconic Raven. Where would we be without the Master of Macabre, the Denizen of Death, the Harbinger of Horror? I, for one, would be lost! Edgar Allan Poe was born on this day, January 19th, 1809 at a boarding house in Boston, Massachusetts. His parents, Baltimore-born David Poe and London-born Eliza Arnold Poe, were both actors then performing Shakespeare’s King Lear on a Boston stage. He was the second of three children, with an older brother Henry and a little sister, Rosalie. Edgar’s parents didn’t last long. David Poe, reportedly an abusive alcoholic, abandoned the family in 1810 when Edgar was just one year old. The very next year his mother Eliza, sans husband, gave birth to a girl, Rosalie. Eliza died of tuberculosis that same year, at the tender age of twenty-four. David Poe also passed away in 1811, in Norfolk, Virginia. Little Edgar was taken in by his godfather, a wealthy Virginia merchant named John Allan, and his wife Frances. Allan made his fortune from a variety of trades including tobacco, cotton, wheat and – yes – slavery. In 1815 the family sailed to Britain. Young Edgar attended school in Scotland and England. His foster parents placed him in the Reverend John Bransby’s Manor House School at Stoke Newington, near London where Edgar stayed for three years. So far, it may seem like a rags-to-riches childhood that should have had a happy ending. Not so. 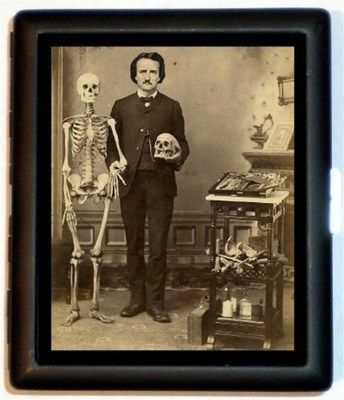 Dark forces were at work all throughout Poe’s life. John Allan was a bit of a ‘schizophrenic parent’, alternately spoiling and then severely disciplining his foster son. He reportedly had a bad temper. (Don’t forget the man was a slave trader.) 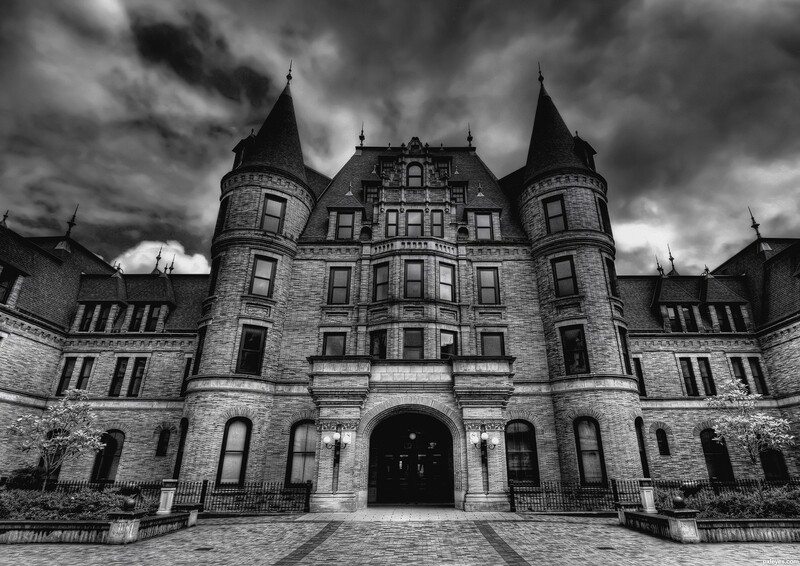 Edgar had had a bad enough beginning – but being shipped off to boarding school probably didn’t help his self esteem. Edgar returned to live with the Allans in 1820 when he was just eleven. In 1825, John Allan became even richer when his uncle William Galt died, leaving him an inheritance of around $750,000. (That is the equivalent to $17,000,000 in 21st century money!) But John Allan was apparently a stingy millionaire. In 1826, Edgar enrolled in the University of Virginia, with the intention of studying languages. He claimed that his step father did not send him enough money for books and a decent dormitory. He also began gambling and raked up a lot of debts, which John Allan refused to pay. Within one year, Poe dropped out of school. Left to fend for himself, Edgar worked a series of odd jobs. He was unable to support himself and so, in 1827 he joined the US Army. He lied about his age, claiming he was twenty-two when he was in fact, only eighteen. He also used a fake name, “Edgar Perry.” That same year, he released his first book of poetry, Timberland and Other Poems. The army did not sit well with Poe. He left in 1829 (skipping out on what was supposed to be a five year stint). Apparently, he came clean about his age and name. John Allan then helped him out — but also devised a plan that Edgar be enrolled in West Point Military Academy. Edgar did not fare well at West Point. As a matter of fact, he hated it so much that he maneuvered a way to get himself thrown out! By behaving consistently badly, Edgar knew he could become eligible for court martial. On February 8, 1831, Poe was tried for “gross neglect of duty and disobedience of orders for refusing to attend formations, classes, or church.” Poe pleaded “not guilty” knowing all the while he would indeed be found guilty and subsequently dismissed. Clearly, Edgar was not cut out for military life. Having been officially abandoned by his foster father, Poe moved to Baltimore and reunited with some of his blood kin. He lived with his widowed aunt Maria Clemm, her daughter Virginia (Poe’s first cousin who would later become his wife), his brother Henry, and his invalid grandmother Elizabeth Cairnes Poe. Death still surrounded him. His brother passed away in 1831, due to complications of alcoholism. Edgar then began working in various writing jobs, including assistant editor for the Southern Literary Messenger and contributing author for the Baltimore Saturday Visitor. 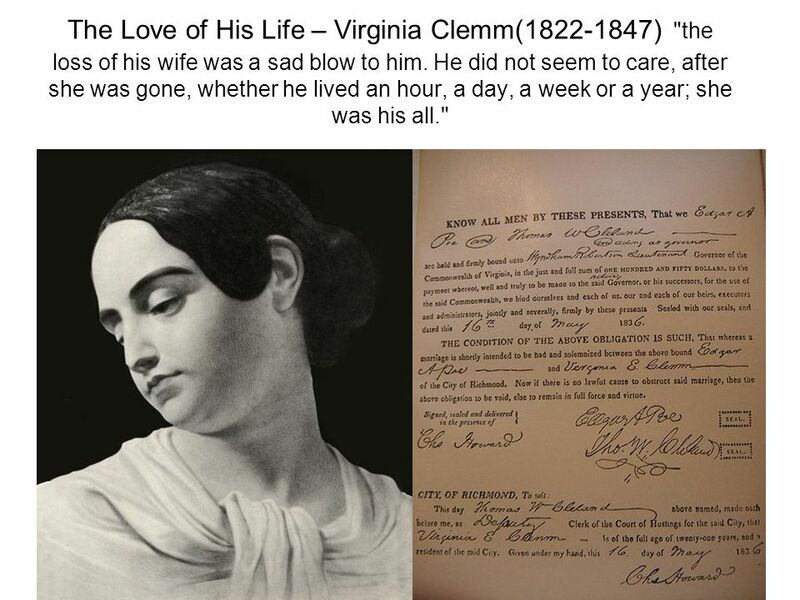 On May 16, 1836 he married his cousin Virginia Clemm. She was thirteen and he was twenty-seven. This was not so shocking back then as it would be today. Marriage between first cousins was legal in all states before the Civil War, and not frowned upon. Plenty of historical figures married their cousins — including Johann Sebastian Bach, Franklin D. Roosevelt and Queen Victoria herself , who married her first cousin Prince Albert of Saxe-Coburg in 1840. 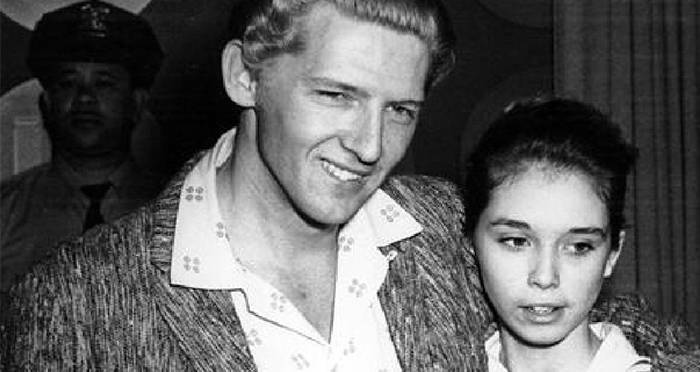 And don’t forget Jerry Lee Lewis, who somehow got away with marrying his thirteen year old cousin in 1957! In the 19th century, the age of consent for girls in most of the United States was (astonishingly!) just TEN years old! In Delaware it was actually SEVEN years old! Some of these laws were in effect until the 1960’s. Edgar and Virginia were married in church by a Presbyterian minister. Biographers believe their marriage was a happy one. Perhaps Edgar, having been so abandoned in his past, was finally free to enjoy the company of his wife. The couple shared a love of music, poetry, cemeteries, and — believe it or not — playing leap-frog! During their brief years together, it was not all doom and gloom. Poe published his first novel The Narrative of Arthur Gordon Pym of Nantucket in 1838. That same year he became assistant editor of Burton’s Gentleman’s Magazine. He published numerous articles, stories, and reviews, enhancing his reputation as a critic. Also in 1839, the collection Tales of the Grotesque and Arabesque was published in two volumes. He wrote some of the first literary criticisms, as well as some of the first short stories. He is considered the inventor of crime novels and detective stories. Some of his most famous works include: The Fall of the House of Usher, The Black Cat, The Telltale Heart, The Pit and the Pendulum and Murders in the Rue Morgue. 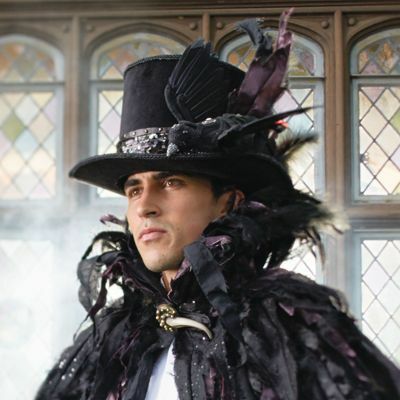 On January 29, 1845, his poem “The Raven” appeared in the Evening Mirror and became an overnight sensation. It made Poe a household name almost instantly, and is still arguably his most popular poem. But even in the midst of his publishing successes, death and disease were not far behind. 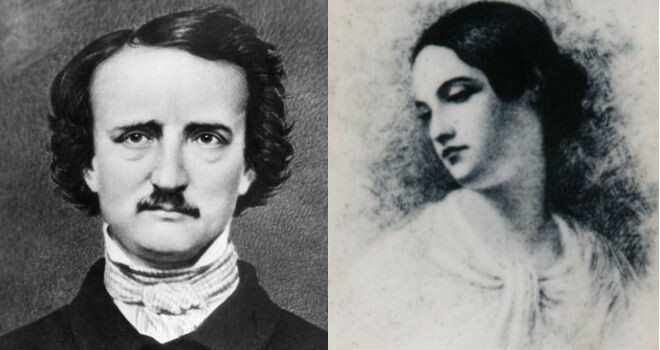 In The Raven, Poe may have already been mourning the inevitable death of his wife. “Lenore” of the poem, who would be seen “Nevermore” can easily be compared to Virginia, who had, by then already begun to exhibit symptoms of tuberculosis. One winter evening in 1842, while playing the piano, Virginia began a fit of spewing blood. She would never recover. Edgar tended and cared for her devoutly for the next few years as the disease progressed. Virginia passed away on January 30, 1847. Sadly, and creepily, Poe’s wife died of the same disease, and at the same age, as his mother. Needless to say, Poe never overcame Virginia’s death. His behavior became increasingly erratic and unstable. He tried to court other women but had difficulty sustaining romantic relationships. Poe’s own death is shrouded in mystery. He had traveled to Richmond where he visited a woman named Elmira Royster, to whom he became engaged. He left Richmond on September 27, 1849 and was heading back to New York, where he had purchased a cottage in what is now The Bronx. Poe never made it home. On October 3, 1849, Poe was found “delirious” on the streets of Baltimore outside a pub called Ryan’s Tavern. He was “in great distress, and… in need of immediate assistance”, according to Joseph W. Walker, a printer, who found him. Snodgrass’s first-hand account describes Poe’s appearance as “repulsive”, with unkempt hair, a haggard, unwashed face and “lusterless and vacant” eyes. His clothing, Snodgrass said, which included a dirty shirt but no vest and unpolished shoes, was worn and did not fit well. Dr. John Joseph Moran, who was Poe’s attending physician, gives his own detailed account of Poe’s appearance that day: “a stained faded, old bombazine coat, pantaloons of a similar character, a pair of worn-out shoes run down at the heels, and an old straw hat”. Or perhaps he simply reunited with his one true love, Virginia. Some sources say that Poe’s final words were “Lord help my poor soul”. Suspiciously, all medical records have been lost, including his death certificate. But he leaves behind an amazing legacy — a body of literature that includes Gothic tales, dark romanticism and phantasmagorical poetry. The man who spent his life shrouded in death now lives on as a never-out-of-print horror icon.